The Nihonmachi Street Fair‘s entertainment has always been one of the most favorite features of the fair. From Hip Hop to Reggae, Jazz to Bluegrass they’ve showcased the many genres of music. Sit back and let the music groove you. 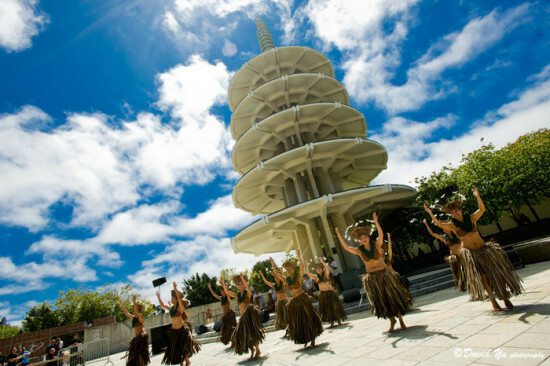 On the Clear Channel Outdoor Stage, the Nihonmachi Street Fair will bring together again a diverse cultural lineup of performers that will include Hawaiian music and dance, Japanese dance, and much more. The Art & Soul of J-town is a new feature of the Nihonmachi Street Fair (NSF). Their hope is to bring together and showcase the many Asian artists in diverse APA communities. It is also an opportunity for our communities to bring voices and creativity together. For the 45th Annual Nihonmachi Street Fair the Art & Soul of Jtown will celebrate unity in diversity through spoken word, poetry and art. At this year’s 45th Annual Nihonmachi Street Fair’s Doggie World, the Buchanan Mall will be a special gathering place for the four-legged members of the community to join in on the fun. Local animal experts and adoption agencies will also be on hand to offer tips and information. The Asian Artisan area of the Nihonmachi Street Fair has welcomed a wide variety of artistic talent from all over the Bay Area and beyond. Many of their artisans like Waka Ozawa, Pomegranate Designs, Kayoko Designs, Creative Accents and Fabrications have been participating at the Nihonmachi Street Fair for over 20 years. You’ll find a great selection of hand made crafts all created with an artistic eye. It’s a great opportunity to meet the artist and ask questions about their craft. They have the opportunity to bring the players, their families and friends to not only participate in this co-ed basketball competition, but also create new friendships as well as supporting the Nihonmachi Street Fair. Children’s World provides families to engage their little ones in Asian inspired crafts and test their skills in fun games. It’s also a great way to introduce children to this important community event and encourage them to come back to volunteer when they get older. At this year’s Nihonmachi Street Fair Food Fest, you’ll get a chance to experience both and support local nonprofits as well as businesses. From teri burgers to adobo, okonomiyaki to waffles, there’s something for everyone. The streets of Japantown will not only be filled with fair attendees, participants, conversations, the smell of great food and music to soothe your souls….you’ll be able to see close-up fabulous Muscle Cars from back in the day. Approximately 10 – 15 cars will be showcased on both days.